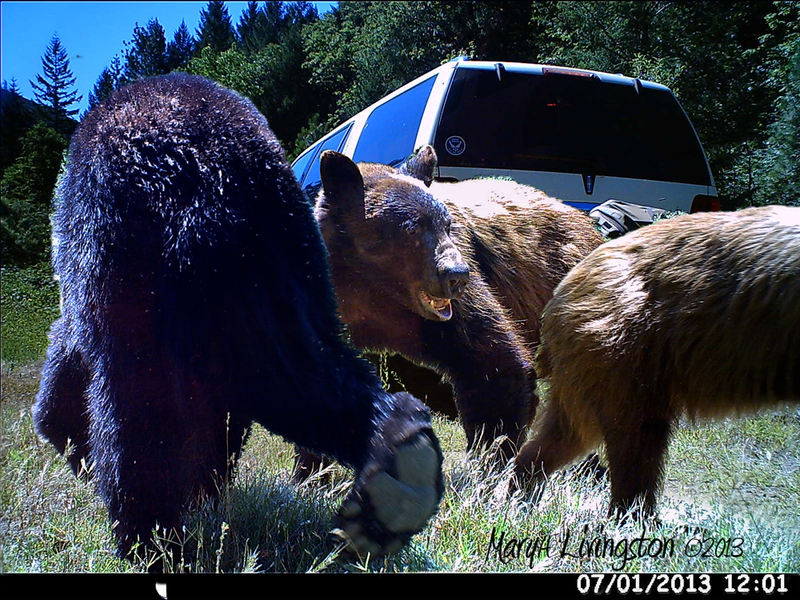 A composite of bear images with our rig to show size comparisons. Finally a smile for the camera. This is a young black bear, we think a young female. We saw her on our drive in, just up the hill a bit. 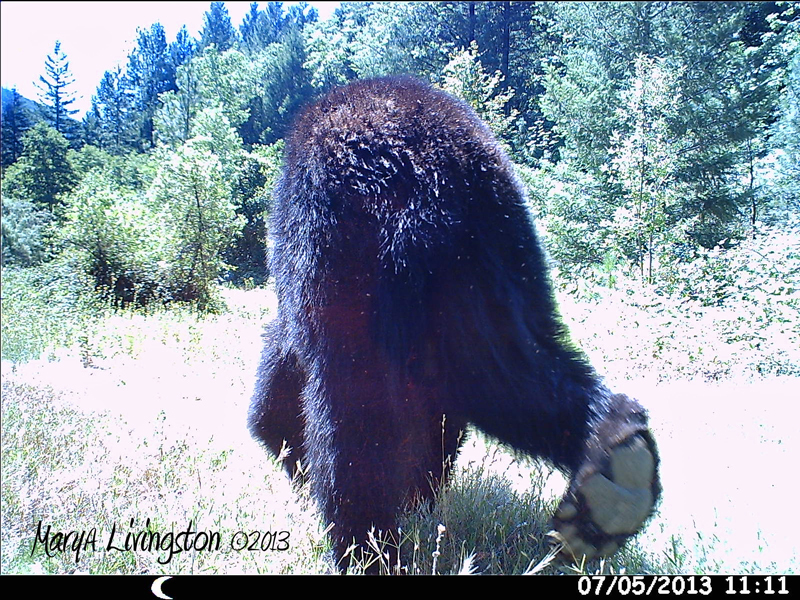 The bare foot of the black bear. 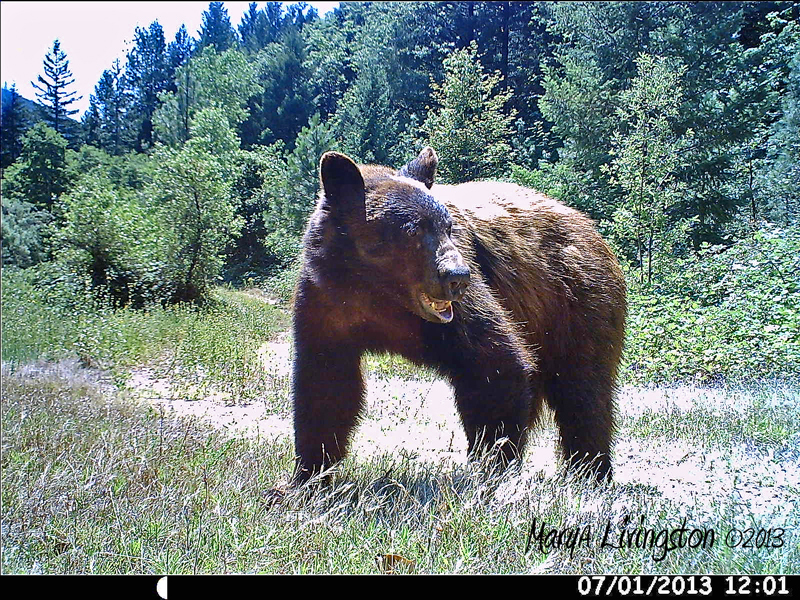 This entry was posted in Bliss Tips, Nature, Photography, Wildlife and tagged black bears, Northern California, omnivore, trail cam, vacation by MaryALivingston. Bookmark the permalink. These pics are really interesting. Your get away sounds terrific. Convening with nature is a balm and good for the soul. Wonderful, I love the bare foot! It is amazing to see the large tracks they leave. Now that is what I call bear country! Wow! Do you sleep in a tent there? We have, as have many others. Typically we are in our rv. One should always be prepared for an unanticipated wildlife encounter. Illegal grows…a new one on me. I do comprehend though and I get your point! Not the California view most think of, but up here in the north, we treasure our integrated connection with our natural environment. 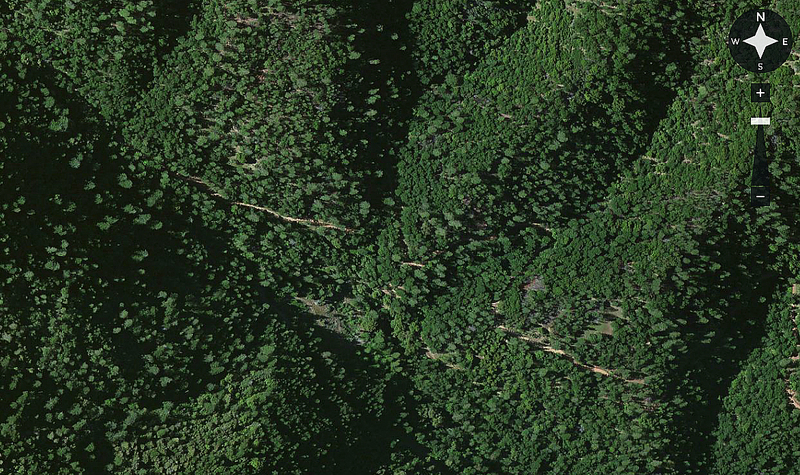 I just come from the Forested Artist who reblogged your topic. 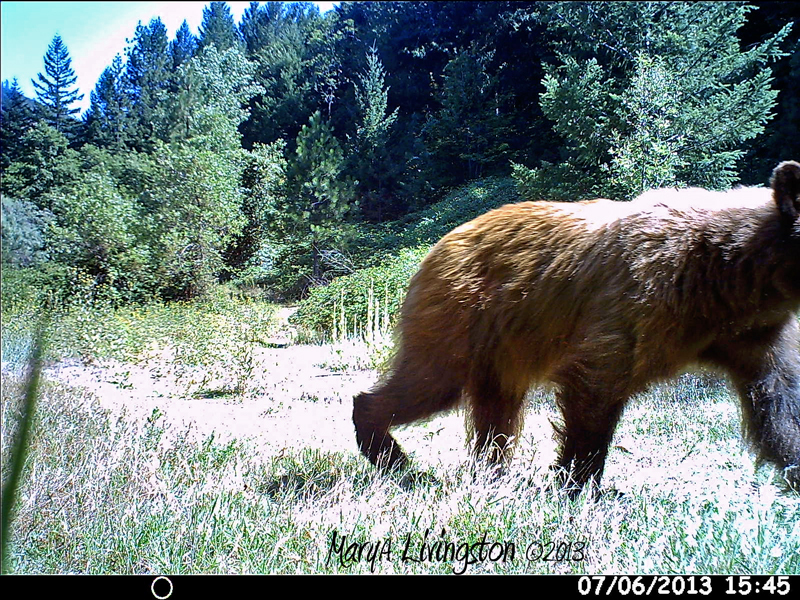 Beautiful pictures, they don’t seem to bother about you lol..
That’s because the trail cam is on a motion sensor. They won’t stick around for us. We see many bears in this area. We give them their space and they give us ours. From vultures to bears! Cool! I’ve never seen a real bear. Just a stuffed one at Bass Pro Shops. It was smelly. Our Tessa came nose to nose with a mama with 2 cubs once, now there’s a story that needs a post. Oh yes! Wow! What an adventure! I remember when I was a kid, we would go to my uncle’s farm for a vacation but the big draw was the drive to the dump to see the bears rummaging through the garbage. We had one of those when I was a kid too! I’m a bitt scared of bears… only because of all the stories I read from childhood!! :))… But they look wonderful! !